Comfortable four bedroom three bathroom villa with its own private pool located in the gated community of Tower Lakes. 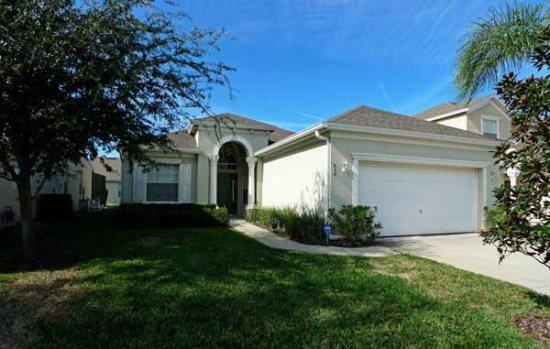 Cocoa Florida Villa has two living areas, the first at the front of the house with a comfy sofa and TV. An archway leads to the fully equipped kitchen and dining area. The main family looks out on to the pool deck and has all the gadgets to keep you entertained with a TV, DVD and cable box. There is free internet connection and free local and long distance calls within the USA. The master bedroom is a great place to relax at the end of the day with its own private bathroom and TV with DVD. There is also access straight out on to the pool deck. 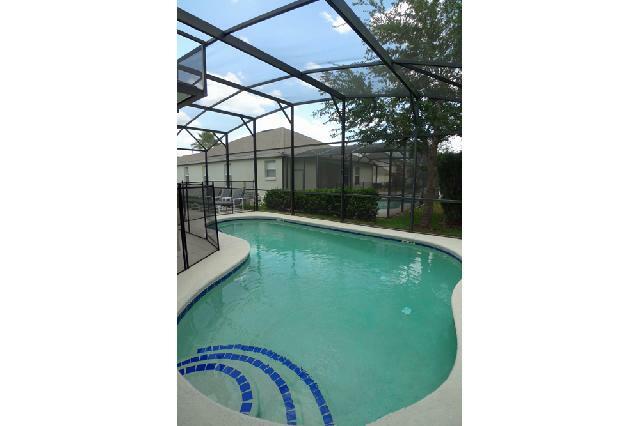 Outside, enjoy the pool, take in the glorious Florida sun or relax in the shade under the lanai with friends & family. Pool heating is available please enquire at time of booking for pool heat rates. Tower Lakes at Calabay Parc is located close to Hwy 27 in Haines City and is conveniently situated close to a large Walmart Supercenter, post office and Sweet Bay Grocery Store. There is a wide selection of restaurants and takeaways close by. Just six miles away is the new Posner Park shopping area with JC Penney, Target, Best Buy, Staples, Michaels, Dicks Sporting Goods and many more. Tower Lakes at Calabay Parc is just off Hwy 27 and is located just 20 mins to the Disney parks and the new Legoland park is a short 15 minute drive to the south. The community next door is home to the one of the best golf courses in Florida. Southern Dunes 18 hole golf course is rated 4.5 stars and is open to the public year round.